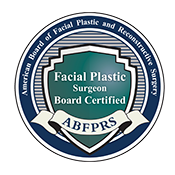 Facelift recovery is widely misunderstood. The Web spreads all kinds of rumors. Friends and family seem to have their own slightly altered versions of how the face heals. The result? Misinformation makes patients anxious, creating an emotional roller coaster during the decision-making process. We certainly understand why. A couple of decades ago, a facelift meant making invasive incisions around the whole face and attempting to lift up everything at once. The recovery from that procedure required a lot of downtime. Today, the mini cheek and neck lift that we perform uses advanced surgical techniques to target specific areas of the face. After all, if your brow is beautiful, why change it? This tailored approach also makes healing from a facelift that much faster. What every person wants—and deserves—to know about facelift recovery is the truth. No rehashed stories about an eight-week recovery process. No new-fangled healing quick fixes that don’t do what they promise. Just good, old-fashioned honesty about what you can expect following your facial plastic surgery procedure. 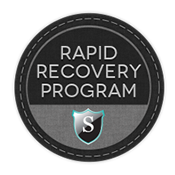 At Smith Cosmetic Surgery, we have one significant advantage in the realm of recovery. Dr. Smith focuses exclusively on the face, and has for over 25 years. That means he’s not only got those petite incisions, musculature manipulation and skin smoothing procedures down to a science, but he’s also become a well-known “artist” in the specialized field of creating a natural-looking appearance. So instead of creating a taught, extreme version of the old you, he simply turns back time to expose the more youthful you. Built on two decades of watching and learning how faces heal best, our in-house speed-recovery process combines a “supercharging” hyperbaric oxygen bed, laser and LED-light treatments, specifically formulated anti-aging supplements, plus all the psychological reassurance and TLC you need along the way. It all adds up to about two weeks of external healing to make the new you date-night ready. You’ll still be recovering internally for a few months, but a more rejuvenated version of your external beauty will already be shining through. Have additional questions about recovery after a mini facelift? Call us for a little extra piece of mind. Better yet, come in for a complimentary consultation to see how we can customize and simplify facial cosmetic surgery—and recovery—just for you.